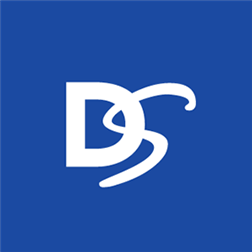 With DocuSign for Windows Phone, you can electronically sign, send and store documents from anywhere at anytime. DocuSign is safe, secure and legally binding. You’ll finish tasks faster and go completely paperless – no more printing, faxing, scanning or overnighting. There are endless ways to leverage DocuSign for both your personal and professional needs. Here are just a few examples: NDAs, employment forms, rental and lease agreements, contracts, invoices, work orders, bills of sale, permission slips, and much more. • Sign – You can sign any document for FREE directly from your device – no pen or paper required. Supports multiple formats (Microsoft documents, PDF, images, and more). • Send – You can electronically send documents out for signature and manage the documents you send. Your recipients will receive an email inviting them to sign electronically. • Store – Access and store all of your documents instantly and securely in your DocuSign account and SkyDrive. • Secure & Legal – Choose the solution trusted by banks and law firms. DocuSign eSignatures are safe, secure and legally binding. All documents are encrypted and include a tamper-proof seal and complete transaction history. • Manage Signature – You can create, edit, and manage your unique electronic signature and DocuSign identity. • Track – View and track sent documents, in flight documents, and follow up on completed documents. With the windows live tile you can see your critical document status directly from your home screen.